The relationship between the sequence of the creation cycle and the Egyptian 28 ABGD alphabet. This book focuses on the relationship between the sequence of the creation cycle and the Egyptian ABGD alphabets; the principles and principals of Creation; the cosmic manifestation of the Egyptian alphabet; the three primary phases of the creation cycle and their numerical values; and the creation theme of each of the three primary phases, as well as an individual analysis of each of the 28 ABGD alphabetical letters that covers each letter’s role in the Creation Cycle, its sequence significance, its sound and writing form significance, its numerical significance, its names & meanings thereof, as well as its peculiar properties and its nature/impact/influence. 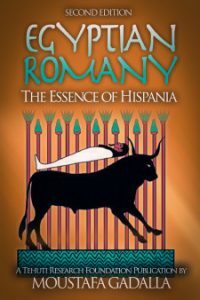 This book is divided into five parts containing a total of 35 chapters. 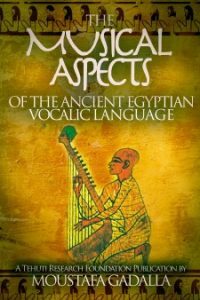 Chapter 1: Historical Deception of the (Ancient) Egyptian Linguistics will clear the intended confusion to hide the alphabetical form of writing in Ancient Egypt—as being the archetype of all languages throughout the world. 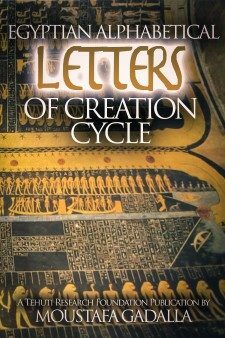 Chapter 2: The Principles and Principals of Creation covers the basic components of the creation cycle in the Ancient Egyptian accounts. Chapter 3: The Cosmic Manifestation of the Egyptian Alphabets covers the natural orderly progression of the emanated divine energy, and the its manifestation in the monthly lunar mansion changes; the correlations between the sequence of the ABGD letters and their numerical values. Chapter 4: The Three Primary Phases of the Creation Cycle covers the nature of the creation cycle consisting of three phases, as found in the Ancient Egyptian accounts and later on duplicated in Sufi (and other) writings. Chapter 5: The Theme of the First Phase/Ennead covers the theme of the First Phase/Ennead (1-9 ‘A’ -‘T.’ ) as the objectification of a circumscribed area of undifferentiated energy/matter, wherein the world will be manifested. It consists of the establishment of order and the co-factors of life-forms as the foundation for the world. Phase One consists basically of three consecutive groups. Each of which consists of 3 stages/letters/numbers. 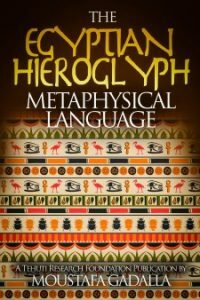 Chapters 6 through 14 cover the first nine letters—each covering its role in the Creation Cycle, its sequence significance, its sound and writing form significance, its numerical significance, its names and meanings thereof, as well as its peculiar properties and nature/impact/influence. Chapters 16 through 24 cover the second nine letters—each covering same topics as in the prior group of nine letters. 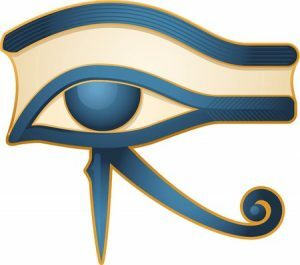 Chapter 25 covers the theme of the Third Phase/Ennead which is the Ascending and Reunification Phase that leads to a NEW Alpha—Heru-Akhti of The Two Horizons. Chapters 26 through 34 cover the third nine letters—each covering same topics as in the other two groups of nine letters. Part V being chapter 35 covers the 28th Mansion/Letter ‘Gh‘—representing The New Alpha.